Go Nicky Jam! 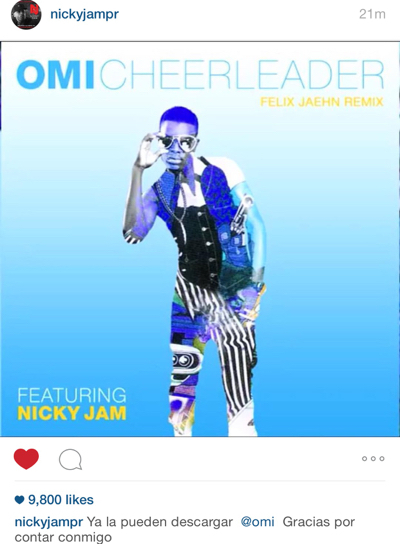 I already was in love with Omi's Cheerleader track which has been on the #1 in the top 100 Billboard charts and also has been on the top Latin charts for 2 weeks now (the English version) Well that soon might change since Latino superstar artist Nicky Jam is on the new remix giving that bilingual love. I'm feeling it, my son and I will dance to this all day long!